The Forget-Me-Not flower is one of the most beautiful flowers that exist. 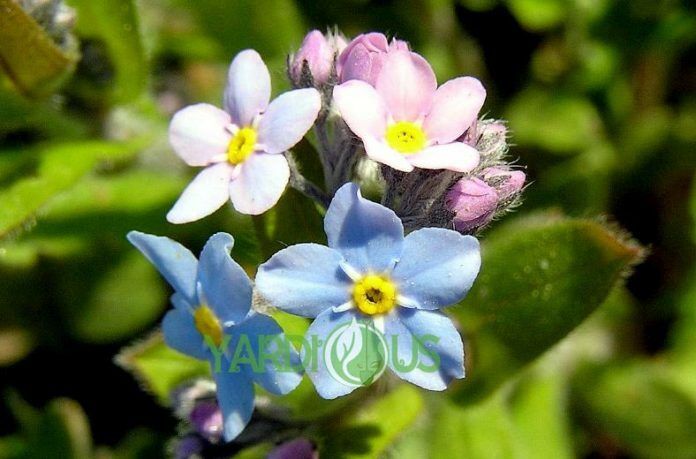 They produce hundreds of small flowers with amazing colors of blue, pink, white and yellow. They attract butterflies and bees and you can place them anywhere you like in your garden, your house, wherever you want to. 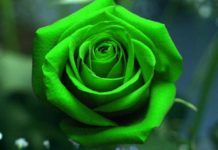 Below we are going to give you most accurate tips on how you can plant, care and grow this marvelous flower and the varieties and benefits that it has. First of all, we are going to see what the name of Forget me not flower means. This beautiful flower apart from being marvelous it has a special meaning too. This plant belongs to the genus of Myosotis. 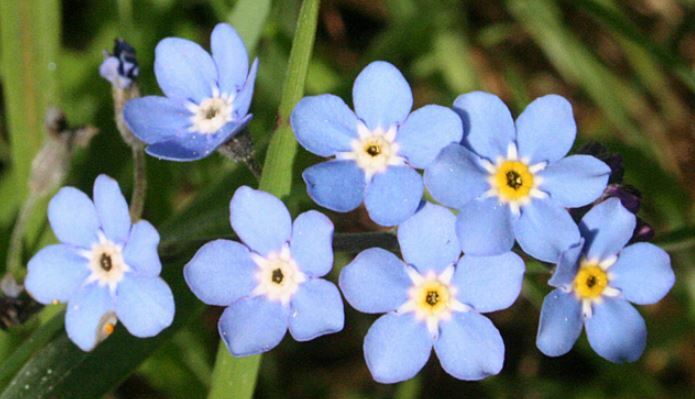 Myosotis is a Greek word and its meaning is the mouse’s ear. It took this name due to the shape of the small petals. 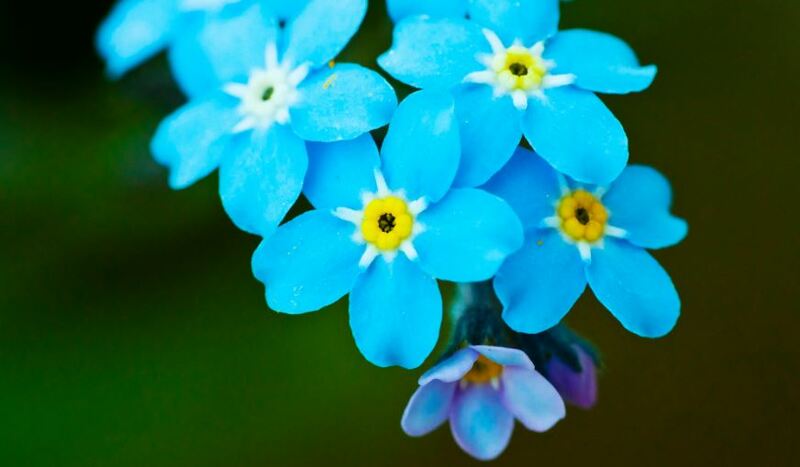 Forget-me-not flower came first from the German word Vergissmeinnicht and it was used in English in the AD 1398. Nowadays, people from all over the world use a similar phrase to describe this flower. This flower has been connected with the meaning of true and undying love, with the affection between two people, with loyalty and memories that you created with your loved one even though you might be far away from one another. 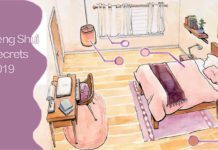 It has also been used to honor the American – G e n o c i d e.
Also, it’s been connected with the patients of the Alzheimer’s disease and in general with caring for the people who need help. The myth of this flower talks about 2 lovers that were walking along the Danube River, in Germany. The knight offered flowers to the lady and because his armor was heavy he fell in the river and was swept away and told her not to forget him. This is how this flower was connected with the symbol to never forget. 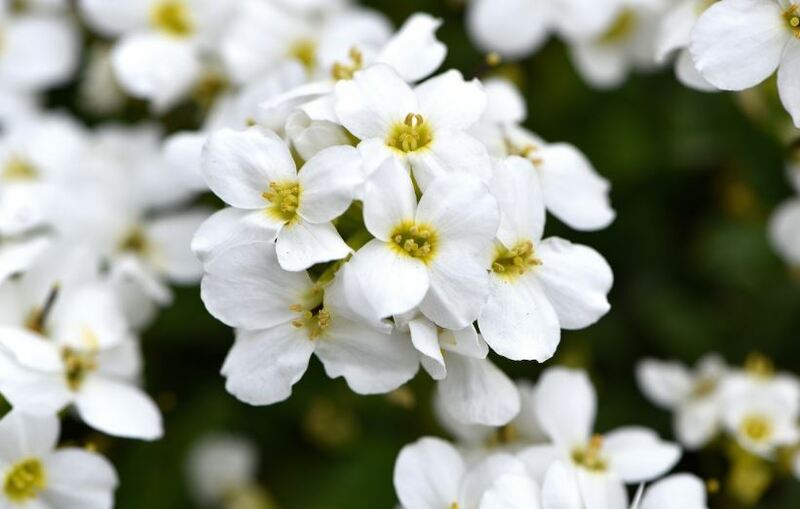 The forget me not white flower produces beautiful white flowers that have a height of 25cm. When you plant it make sure that the depth will be from 4 to 6mm. The space between the seeds should be from 30 to 40cm. The white variety needs full sun in order to grow and well drained and fertilized soil. The best season to plant it would be late summer and early autumn, it’s up to you. When you plant them either in summer or spring they will produce the flowers the following spring. Sylvatica is a hairy hardy. It produces small flowers of blue, white and yellow flowers. The flowers will grow during the mid-spring and summer. This variety needs partial shade. The soil must be moist and well-drained. It can grow from 12 to 30cm tall and 15cm wide. It grows best in USDA zones from 5 to 9. The True forget me not flower is a tall flower. It can reach from 15 to 60cm. The flowers have blue color and the centers are yellow. They create clusters along the branches. The soil should be moist and well-drained too. The Alpine variety is the state flower of Alaska and the country flower of Westmorland, UK. Even though the flowers look exactly like the forget me not flower they are different because they are shorter, 6 inches high. The flowers can grow perfectly both in partial shade and in full sunlight. It could be annual or biennial and its color can be blue, pink and white. The soil has to be moist and well-drained as we have mentioned before. The Broadleaf forget me not flower or else myosotis latifolia can grow in different types of habitat. It can grow in moist and shaded areas. Its height can be more than 1 meter. Finally, the flowers can have pink and blue color. 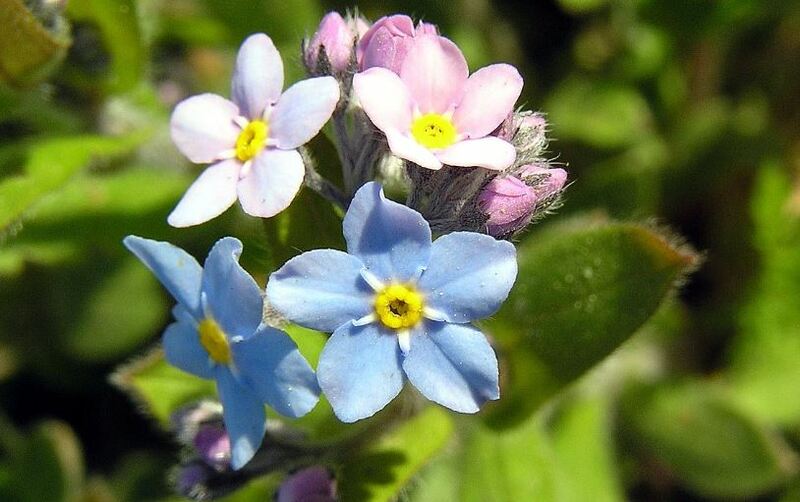 When you plan to plant forget-me-not flower seeds you should have the following things in mind. First of all, the soil should be well worked, it should have good drainage and of course organic matter. You will plant your seeds in a place where there will be partial shade because you don’t want them to be exposed to the sunlight the whole time. A good idea would be to start growing them inside your house in a pot and when the spring comes transfer them to the soil. If you sow them outdoors plant the seeds 1 to 1/8 of the soil. Try to keep the soil moist and the seeds will start to germinate from 8 to 14 days. When you plant them make sure to leave 10 inches between them. Before you plant your seeds you should test the soil (or you can buy a cheap and accurate soil pH Tester) of your garden. The pH of the soil should be from 5.5 to 7.5. Also, you should water the soil so as to be moist. A good thing would be to add mulch in order to protect the forget-me-not flower. Place the mulch from 2 to 3 inches so as to help the seeds remain moist and to germinate. The temperature will be preserved too. 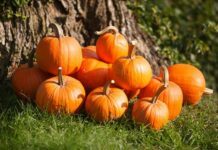 If you are going to plant the seeds in a pot you should follow these tips. Select a pot that has drainage holes. Even though the this flower needs to be moist it shouldn’t rot. That’s why the pot apart from the holes should have a tray too. You could also use compost for the soil. The pH should be the same as the one that we mentioned before 5.5 to 7.5. When you plant the seeds in the pot don’t add too many seeds because if you do they won’t have enough space to grow and mildew might appear. The best temperature for would be from 18 to 21°C. If you keep it in this temperature then the flower will germinate from 1 to 4 weeks. In this way, you will know that is warm and not hot. Caring for the forget-me-not flower is also important. The first thing that you need to do is to keep the soil moist, don’t let it dry or the plant won’t grow in the way that it should. You should also fertilize it. Fertilize it once every spring. You could use an all-purpose granular fertilizer but don’t overdo it. If you have them in your garden then add up to 4 inches mulch. If you add it you will give extra protection to the plant because the mulch traps the moisture. What you should do next is to trim the unnecessary flowers. If you do that then remove the unwanted flowers from the stem. Finally, you should control the pests and diseases. A good way to control unwanted pests would be to spray water on the plants. If the aphids appear and you water it then the aphides will fall down or else use an insecticidal soap spray in the plant. If you find holes in the plants, that might be due to flea beetles. The flea beetles are quite small, and they have different colors. What they do is to chew the leaves and create holes on them. If you don’t want them to appear then you should remove unwanted weeds, and also use insecticides and Neem oil. Forget-me-not flowers cam be edible, especially the Sylvatica variety that we mentioned above. If you haven’t used chemicals then you can add them to your salad or make candies with them. Not all varieties are edible some are toxic like the broadleaf and the Chinese forget me not. Be very careful and always check. You can also make your own tea. It is a well-known variety of purple flowers and it is caffeine-free. When you drink this tea the blood pressure will be reduced, it can also help you relax and sleep well. Finally, you if you are on a diet you can drink it to help you have a balanced diet. Use the Sylvatica variety. Forget me not can be used as a herbal medicine too. It can be used to stop the bleeding (use it externally), as a remedy for eye conditions, it also cures nosebleeds, it improves lung, stomach and kidney functioning. It is used in medicines for years. Ask your doctor for advice, he or she knows better. This Lovely Flower has benefits too. You should be careful though because not all the varieties can be used. You will choose the variety or varieties that you like best and have them in your house and garden. The only thing that this flower need is to have moist and well-drained soil. 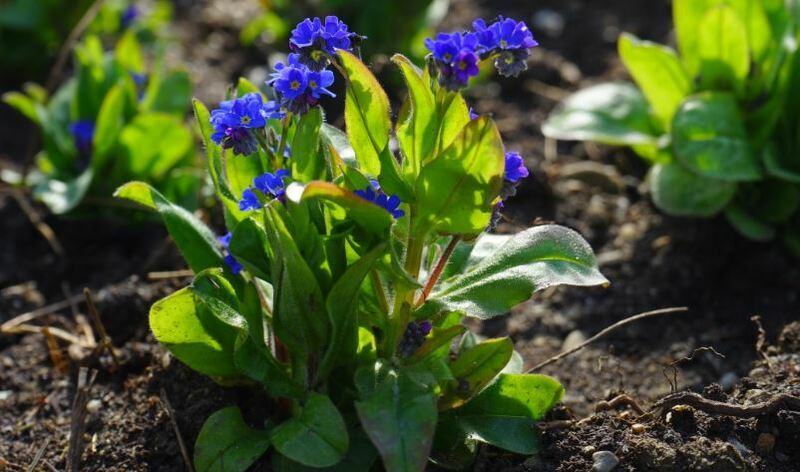 Follow our tips and you will have a garden full of amazing forget me not flowers that will have a special meaning for you.